I upgraded Android Studio today to 3.1, and now Android Studio says it cannot resolve symbols for most of the resources (for example ThemeOverlay in styles.xml or ?attr/actionBarSize). This doesn't seem to prevent me from building or running in an emulator so far, but these errors are making me nervous. Has anyone else experienced this issue? How can I go about resolving it? I have tried syncing gradle and cleaning my project but it doesn't seem to help at all. EDIT: This issue affects updating to Android Studio 3.1.1, 3.1.2, 3.1.3, 3.1.4 as well as Gradle Plugin to 3.1.1, 3.1.2, 3.1.3, and 3.1.4. However, the answer below still works. Close the project and import it again. Worked for me today. The support library is out of sync. Sync your project with gradle. You will have some errors now. Don't worry about that. Uncomment the implementation lines that you previously commented out. Sync your project with gradle again. The "Cannot Resolve Symbol" error should be gone now. This has worked for me several times on different projects. If your project has multiple modules, then you need to follow the directions above for all of the modules at once. After upgrading Android Studio, you can invalidate cache and restart. Closing a project and then opening as existing one does wonders! Vaclovas Rekašius Jr.Vaclovas Rekašius Jr.
Just importing project again did not work for me. Delete .idea folder inside your project. 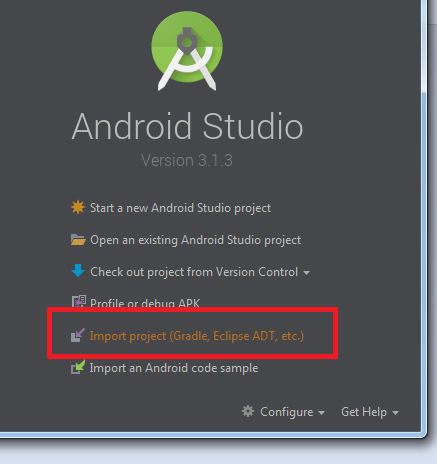 Then import project by File> New > Import Project OR from welcome Screen Import Project (Gradle, Eclipse ADT, etc.). 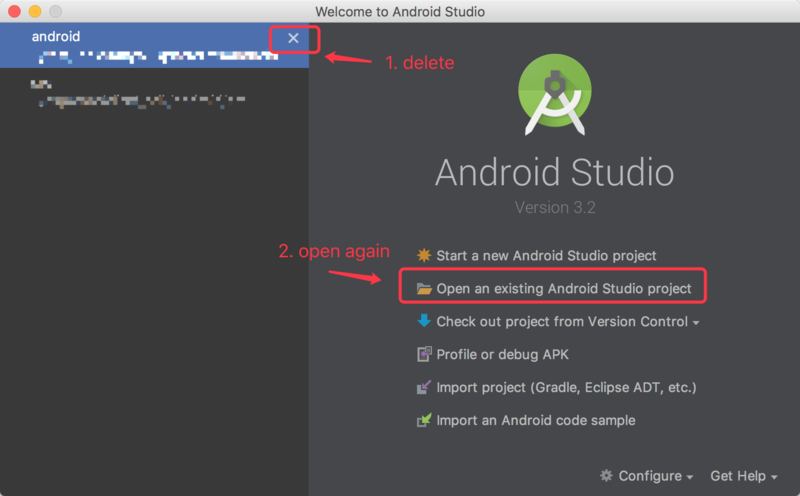 You can try to close the project and exit Android Studio (only closing and reimporting it didn't do it for me). Launch Android Studio and open the project again. That worked for me! I closed and reopened project as existing Android Studio project (did not import it), and it worked! Thanks to Andrew Glukhoff 's comment. For me the same symptom/error was caused by dragging and dropping a new image into 'drawable-xxhdpi' folder with a name Android Studio did not like - for example with a number or capital in the name. No useful error message was given just the 'cannot resolve symbol R' message. Even after synching the app and cleaning and rebuilding project, the issue remained that 'R' was not recognised with no other error indicated. Closing and importing the project as suggested in other answers did not work, which makes sense given the root problem. However, even though it appears this has not worked for others in the past, judging by other questions and answers on SO, deleting the new image from the drawable folder did work. Similarly, and a better solution, obviously, renaming the image to remove any characters that Android does not like in resource names and then doing a clean and/or rebuild project also worked. In build.gradle I imported different versions of the android support libraries. e.g. Please make sure they are the same version. And make sure that Android Studio doesn't complain anything inside your gradle dependencies. It might be that some of your dependencies also imported different android support library versions. After restart, wait for gradle build to finish, then voila! I fix this error by modify com.android.tools.build:gradle 3.2.1 and Restart my mac , I didn't know which one can fix it, but it really work for me . 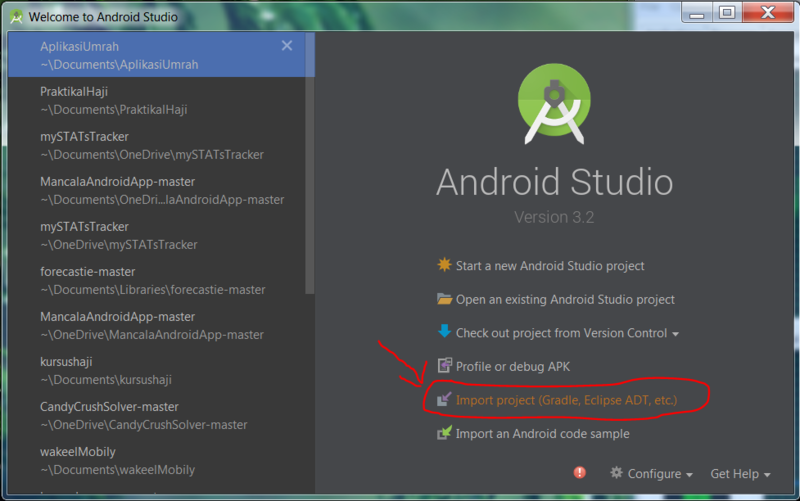 I updated Android studio to version 3.2, and two steps solved this problem. Deleted from Android studio welcome page. Not the answer you're looking for? Browse other questions tagged android android-studio intellij-idea android-resources android-studio-3.1 or ask your own question. In android studio 3.1 stable gives error on Theme and ?attr/actionBarSize attribute?